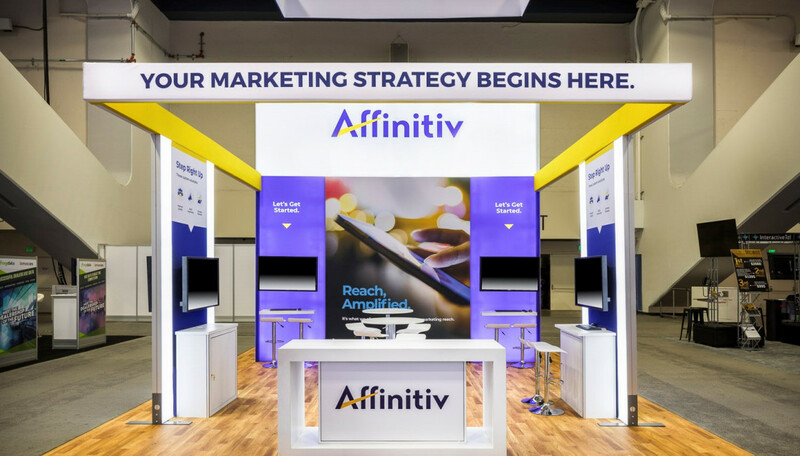 To fulfill its event marketing goals, Affinitiv needed a trade show display that was budget-friendly, inviting, engaging, and demonstrated its modern image with room to create and maintain business relationships. The brand sought to present a sleek and modern face using elements from its previous booth. The trade show exhibit design repurposed the counter and hanging sign, and added backlit boxes to add to the booth’s branding and clean lines. To maintain and build business relationships, the design also included a meeting room that offered both privacy and space. Frosted plexiglass created a barrier between guests and the rest of the show floor. 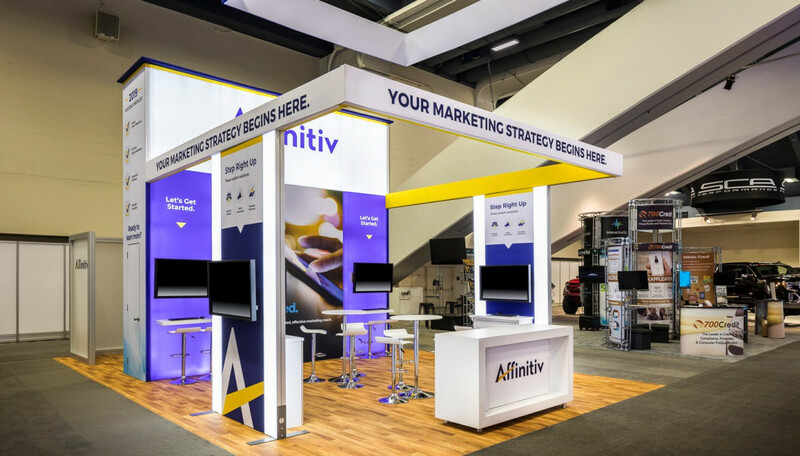 With room for six people, Affinitiv had plenty of room to strengthen relationships and achieve trade show success within its budget.